In addition to writing about Polis’s run for congress, Deb Price also lists the other GLBT candidates running races in this year’s election. Deb Price of The Detroit News writes the first nationally syndicated column on gay issues. ’s national gay leadership and policy committee. She will co-chair the committee with Tobias Wolff, a University of Pennsylvania law professor. 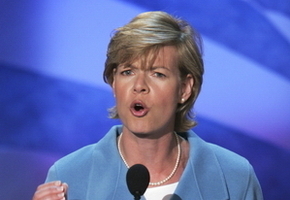 Baldwin’s previous GLBT service includes being the head of Hillary Rodham Clinton’s gay leadership team.